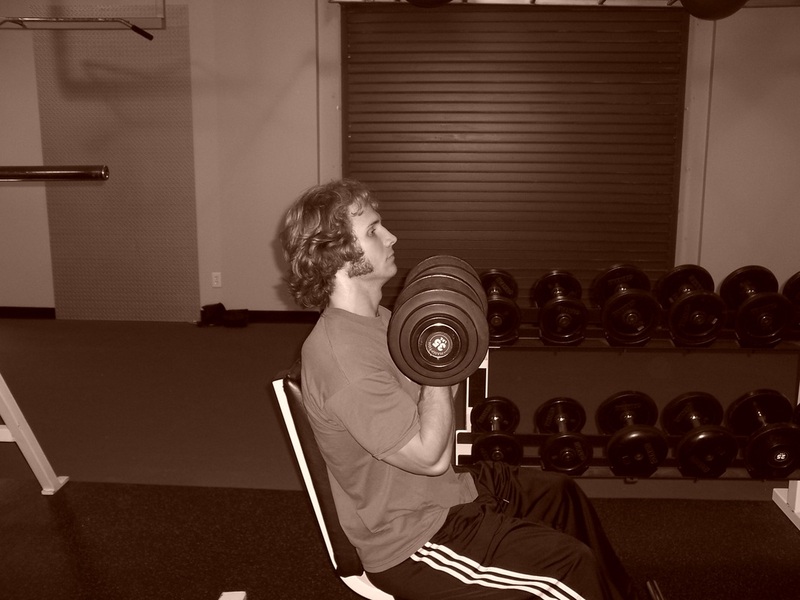 Dallas Personal Trainer - A great shoulder move that allows the shoulders to move through their full range of motion while going through a natural pattern of movement at the same time. Personal trainers and bodybuilders have been using this move for over 40 years with great results. These can be performed in a standing or seated position. If you stand, you can use a shoulder width stance or a split stance...whichever feels more comfortable. For a split stance, put one foot in front of you and the other behind you with the distance between them being a couple of feet. 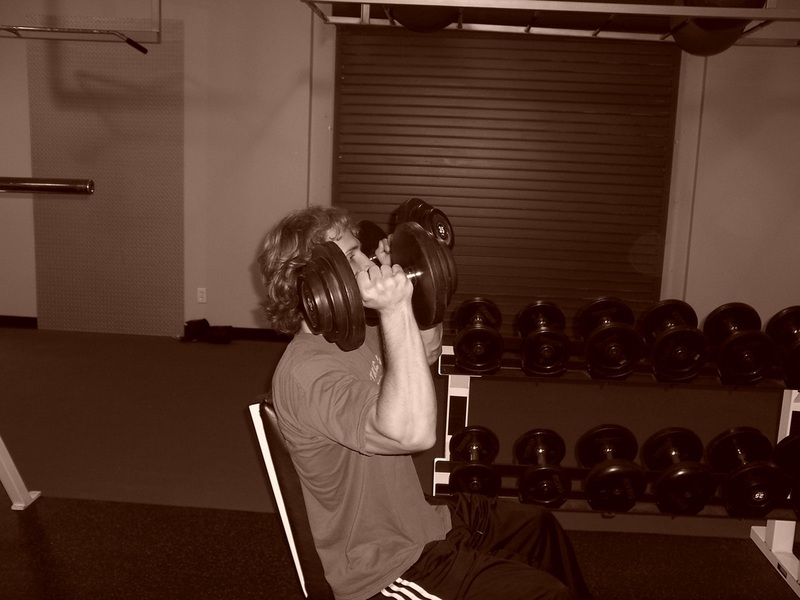 Begin with the dumbbells in front of you at shoulder height with your palms facing you. Begin to press them upward smoothly, while simultaneously rotating them so that at the top of the movement your palms are facing forward and your shoulders are contracted back fully. Smoothly lower them while rotating them back to the front starting position.